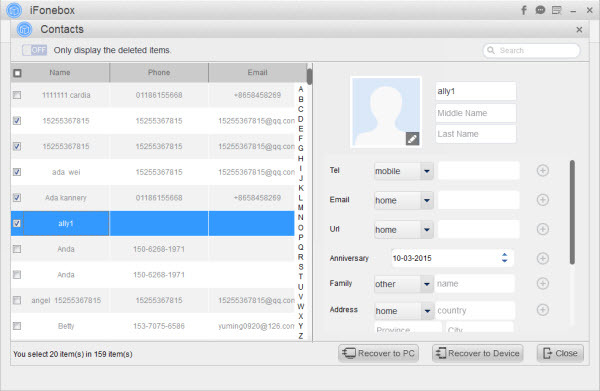 How to recover auto deleted contacts from iphone 6? How to recover auto deleted contacts from iPhone 6? Don't worry. 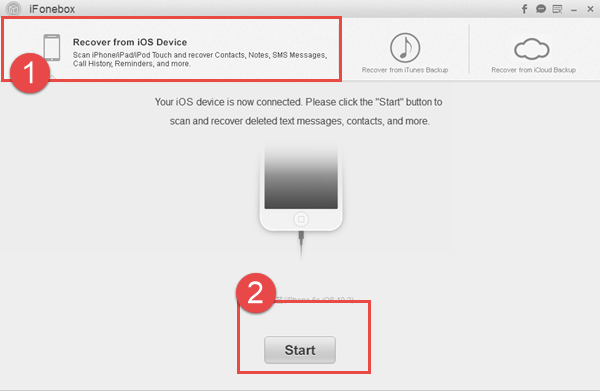 This article shares methods to help you get retrieve iPhone auto lost contacts in details. So weird that contacts are auto deleted from iPhone 6. We all know when messages are auto deleted from iPhone, you can go to Settings > Messages > tick Keep Messages Forever, then messages will not be deleted from iPhone automatically. So what about contacts? At present, I don't know the specific reason at present. Maybe it is a prank from your friends, or you share the same Apple ID with others thus cause some contacts are deleted. Whatever, here, I have found a professional iPhone contacts recovery tool to help you recover auto deleted contacts from iPhone 6 in details. Follow it. 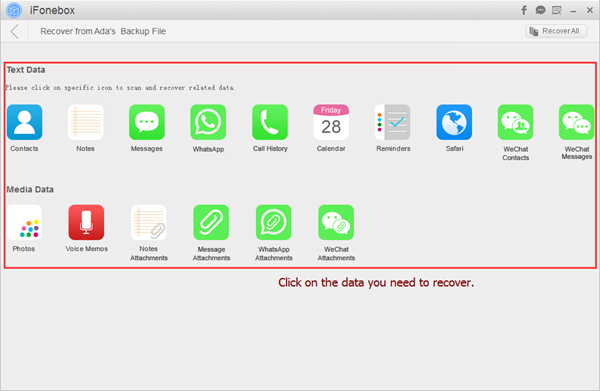 When it comes to iPhone contacts recovery, it is inevitable to mention a powerful iPhone data recovery software named as iFonebox, which allows you to recover deleted messages, contacts, notes, whatsapp messages, etc, from iPhone, iPad and iPod touch directly. Besides, if you need to extract and restore only contacts or other data from iTunes and iCloud backup, iFonebox is your best choice without wiping any data on your iOS devices. Attention, within the help from iFonebox, it is quite convenient to transfer retrieved contacts back to your iPhone or iPad directly, as well as messages and notes. Good job. There is no doubt that you have to download and install iFonebox on your computer so as to recover auto lost contacts from iPhone 6. It is suitable for both Windows and Mac users. Launch iFonebox. Choose Recover from iOS Device mode. Bear in mind to connect your iPhone 6 to the computer so as to scan and retrieve auto deleted contacts back to it. Once connected successfully, iFonebox will detect your iPhone 6. Just click Start button to begin. Scan contacts from iPhone 6. Click on Contacts item to start the automatic scanning process. Preview and choose auto deleted contacts to recover. Here is your chance after scanning. You can select those auto lost contacts and then, click Recover to Device button to transfer all selected contacts back to your iPhone directly, which is superior to other similar competitors. Notes: if you have an iTunes or iCloud backup for those auto deleted contacts, you have another two alternatives: choose Recover from iTunes Backup or Recover from iCloud backup mode to extract and restore contacts back to your iDevice under the help from iFonebox, easy and fast.